The doom discovery of the new year, Sweden’s Isole are the likely successors to the Gods of all things Swedish and doomy, Candlemass. 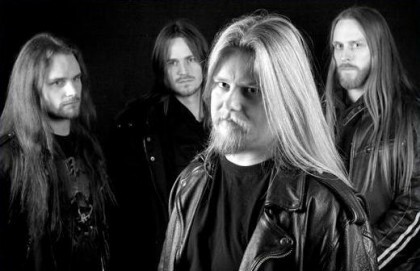 However, don’t be fooled by the obvious parallels – Isole and Candlemass are two entirely different bands, with Isole emerging as a larger, deeper, and more melodic entity than Leif and co. Their newest album, Bliss of Solitude is a haunting, soulful foray into the darkest of doom labyrinths that is almost certain to be a Top 10 choice for yours truly. 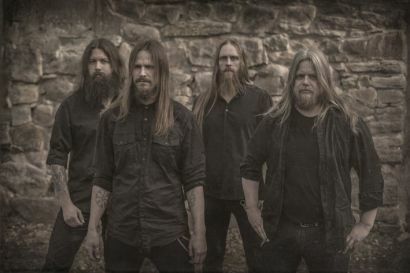 Led by singer/guitarist Daniel Bryste and rounded out by guitarist/backing vocalist Crister Olsson, bassist Henrik Lindenmo, and drummer Jonas Lindstrom, Isole has had a long, career filled with hiccups delays and side-projects. 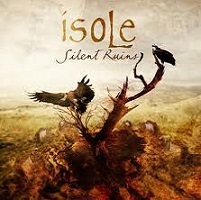 Now with the aid of Gothic doom cornerstone Napalm Records, Isole is prepared to have a break out year. Blistering caught with Olsson via email and here’s what ensued…. Blistering.com: I saw the tag on your Myspace page that dubs you, “Swedish doom metal.” I think that term limits you. Do you agree? Crister: Well, we are a doom band and we come from Sweden and that should make us Swedish doom metal, but I think I can see your point. 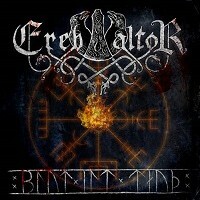 Swedish doom metal doesn’t have to mean that you sound like Candlemass or Count Raven, at least not to me. I can’t see any limitation when it comes to making music with this band. I think music wise you can hear some death metal surface but with clean vocals, of course. And also you can find some parts on the album not even sounding metal, so in my opinion it’s rather varied being a slow doom album (from Sweden of course… hahaha..
Blistering.com: With that being said, there’s quite a bit of competition at the moment in the doom metal field. Do you think your combination of clean, emotive vocals with the doom template will help set you apart? 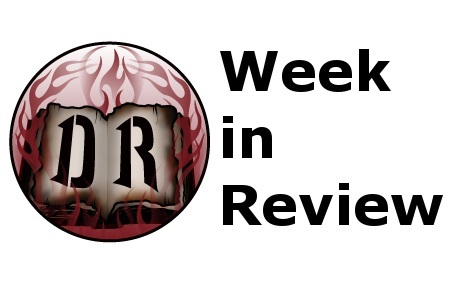 Crister: It’s good for the genre in general that there are many doom bands coming and it seems that it is popular using growls for vocals, but there are doom bands rising with clean vocals as well. But I think it’s our sound as whole that will set us apart, there aren’t that many doom bands sounding like Isole… at least I don’t think so. Blistering.com: You started all the way back in 1990, what took you so long to get Isole to where it is today? Crister: We are really lazy… or should I say, we were really lazy. We didn’t put any effort in trying to get a record deal whatsoever, and we never have. If it weren’t for I Hate Records we probably wouldn’t have released any records at all. The band was put on hold several years during the nineties also, because we had trouble with members quitting and stuff. At some points there were only me and Daniel left in the band, during such times we were focusing on other musical commitments and Isole was in hibernation. Blistering.com: Tell me a little about the band’s origins. Crister: Daniel and I had played together in other bands earlier and we were really close friends already back in 1990. We shared an admiration of Candlemass and Bathory, so we decided we should form a doom metal band. We found a drummer and started to rehearse some old doom classics and soon we made a couple of songs ourselves. We recorded three official demo tapes in the early 90´s and we had a lot of line-up changes. The most important recording I believe is Waves of Sorrow from 1994 which I hear people still praise as a real doom gem today. Blistering.com: Is it a perquisite for a Swedish doom metal band to be influenced by Candlemass? Are there any other unknown bands that have influenced you? 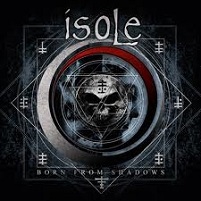 Crister: Personally I don’t think that Isole has that many influences from Candlemass, maybe the early songs that we played as Forlorn are more influenced by Candlemass. 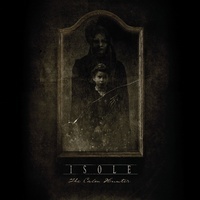 Isole has a lot darker approach and the tempo is not near as fast. Of course, there are some similarities but both band play doom, so it’s no wonder. Our influences comes from lots of sources, we listens to many kinds of music and I think you can hear some Death metal as well as some melancholic pop in Isole. Blistering.com: I’ve heard bits and pieces of Forevermore, how you do you think it compares to Bliss of Solitude? Crister: Bliss is a lot darker, and especially the vocals and the drums are much better on our newest release. Daniel is singing better than ever and Jonas has grown into the band for real with this release. He was used to play fast death metal drums but now he has adapted himself into doom in an extraordinary way. The songs on Forevermore are written in a span of 15 years so that album feels a little shattered to me and Bliss of Solitude is more of how Isole sounds today. Some similarities you can find though, lots of dynamics and calm parts that we didn’t use on Throne of Void. I think we took everything one step further in every direction on Bliss. Blistering.com: What prompted you to sign with Napalm for the new album? Crister: Actually, Napalm was the ones that contacted us, not the other way around. We were quite happy being on I Hate Records and we didn’t plan to change label. But in the beginning of 2007 some “bigger” labels contacted us and wanted to sign Isole, we discussed with a few of them and we thought Napalm could give us some things that I Hate couldn’t. I spoke a lot with Ola (I Hate) before we signed with Napalm and he also thought that maybe this was the right way to go for Isole and he also said that we were always welcome to come back if things should not work out with Napalm. We didn’t want to have any regrets and think “what would have happen if we signed to a bigger label” so we decided to give it a shot. And it will be really interesting to see what this will lead to, we have much more promotion going for us this time and now it’s up to our music I guess.